Retrofitting light fixtures for a home or business is one of the biggest improvements that can be made to an existing infrastructure. As fixtures age, they lose efficiency, produce more heat, and become unreliable. Older fixtures are also incompatible with a number of modern features and are difficult to account for when trying to improve safety or esthetics. For these reasons, updating a set of fixtures can make a lot of sense. The timing has never been better as well, as there are many financial incentives that can greatly reduce the overall cost of the project. Why should someone consider retrofitting light fixtures for a home or business? A building’s illumination system is one of its largest energy expenditures, which is why any gains in productivity, no matter how slight, can spell major savings for a house or company owner. Fixtures that are 10 or more years old are significantly behind modern fixtures in terms of energy efficiency, especially when considering LED technologies. LED fixtures are a preferred option when updating an older system as they provide superior efficiency, reliability and customization options. The problem with older systems is that they waste an unacceptable amount of energy on producing heat instead of light. This not only raises energy costs considerably, it also represents a fire hazard and can make a room uncomfortably warm. LED fixtures create very little throw heat, reducing the load on the building’s HVAC system, which is another significant energy expenditure. 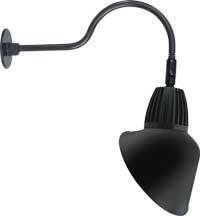 In residential and commercial settings, it is essential to have fixtures that can be relied on for safety purposes. As fixtures age, they dim and go out due to overheating, leaving areas dark and unsafe. LED fixtures are extremely reliable and rely on precise semiconductor technology to emit illumination. Semiconductors are much less prone to malfunctioning compared to the metal filaments in incandescent fixtures or gas discharge lamps, making them an ideal choice for security lighting. Aesthetically, a home or company owner can expect a huge boost after updating an old system. A study performed by Cornell University discovered that a suboptimal illumination caused strain and vision problems in 25 percent of workers examined by researchers. This means a huge hit in productivity and employee morale, both of which can be remediated by powerful, sharp LED fixtures. The Cornell study echoed this and found that companies could expect a 3 to 5 percent increase in productivity following an illumination system update. Why does retrofitting light fixtures for a home or business make financial sense? There are a number of state and federal incentives for installing energy efficient fixtures. These include tax rebates and subsidies for installation costs. In fact, fixture upgrades can occasionally be subsidized entirely, making the transition to a new illumination system a painless one. This is impressive when considering the premium return on investment these fixtures offer. The payback period for updated fixtures is extremely short (usually within two to three years) and a company or home owner will reap all of the benefits of improved efficiency and productivity in the meantime. LED Spot can help anyone in Houston , TX looking to make the switch to a modern illumination system. With more than 30 years of experience in the area, their engineers and designers can turn any old, failing system into one that’s worth showing off.